Neoss® was founded in 2000, with the objective of “Advancing the Science of Dental Implant Treatment”, by Fredrik Engman, Neoss Chief Technology Officer, and Professor Neil Meredith. 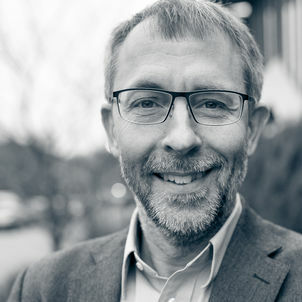 Fredrik Engman (pictured) worked as a surface development engineer at Volvo before joining Nobel Biocare as a senior product development engineer where he made a number of significant inventions in the dental implant area. Professor Neil Meredith held a number of positions in universities in the UK and Sweden prior to founding Neoss with Fredrik. Neil returned to academia in 2011. Convinced that existing implant systems were too complex, their idea was to create a much simpler and more rationalized solution. Through persistent effort and close collaborations they created a high-quality, optimized implant system. With a limited number of components, the Neoss Implant System has unique design features and a host of excellent advantages for everyone. This ingenuity lies in the patented implant design optimizing stability in all bone qualities and conditions and eliminating the need for separate one- or two-stage designs. The minimal platform concept utilizes only two implant platforms to support diameters in the range 3.25–6.5mm. This also greatly simplifies surgical and prosthetic instrumentation aiding communication within the team and increasing efficiently. The benefits are clear: reducing patient treatment time, optimizing inventory control and superior outcomes for patients. Since its foundation, Neoss continues to innovate and invest in research and product development: designing, manufacturing and selling products of the highest quality which offer market-leading functionality. Neoss implants, manufactured in Sweden, are protected by a number of significant patents including patents covering the NeoLoc® Implant-Abutment connection and the Neoss ProActive® surface which can be found on all current Neoss implants, as signified by the names ProActive Straight Implant and ProActive Tapered Implant.